During the COMPUTEX show on June 2014 ,MediaTek (MTK) has published LinkIt ONE and LinkIt Connect (or LinkIt Connect 7681) platform. LinkIt ONE has a higher specification performance, not only integrates and matches the communication function chip, but also has the compatible Arduino development environment,It raised a sensation shortly after published. In contrast, LinkIt Connect, which is relatively lower specification compared with LinkIt ONE and implemented by a single Wi-Fi communication chip, It has to be used in a UNIX-like environment (Linux or Cygwin on Windows), and they only can be used with a unique software development kit (SDK) , so it is not more popularity than LinkIt ONE. But overall, this generation of LinkIt did not get the popular acceptance and love of Maker. In contrast, the same in 2014,Espressif, a new chip commercial in Shanghai,launched a super-cheap Wi-Fi communication chip --ESP8266. As the chip price is cheap and affordable, even through the card industry (Shenzhen AI Thinker) to make further into the board, the retail price is still around 5 to 10 dollars, It immediately aroused everyone's attention. It is clear from the above that"Software Development Environment Support"is an important factor in determining the development of the chip in the Momes. So Seeedstudio and MediaTek recently (April 2017) launched LinkIt 7697. 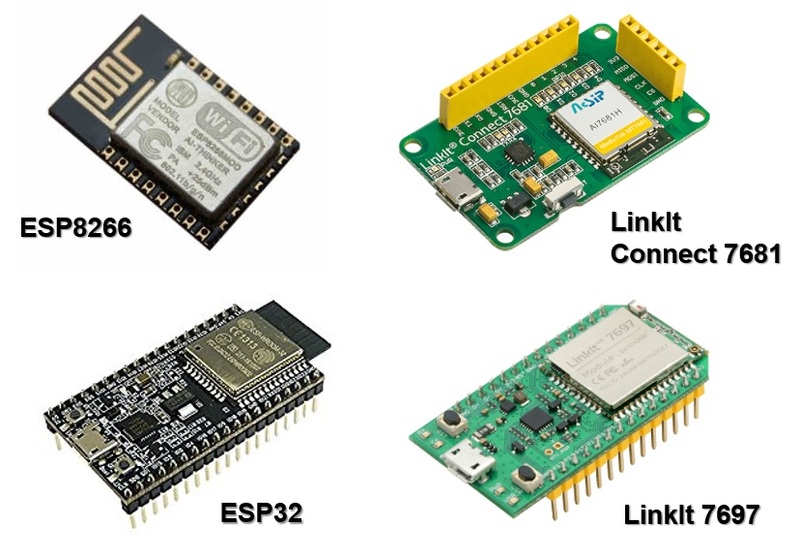 It is the same platform as LinkIt Connect, ESP8266,andESP32, and it is a single chip implementation platform, and it is the same to the ESP8266, ESP32 on"Cheap"and"extensive software development support. The LinkIt 7697 Combo development board is on the shelves! First compare the processor core. Linkes Connect'is Andes' AndesCore N7 is also a special core. The LinkIt 7697 uses the ARM (ARM) Cortex-M4F core, is currently the most widely used processor core. There are a lot of benefits because of widely used: ready-made software technology have many opportunities to become aid resources, and can save to rewrite the transfer of effort, and then verify the effort, in particular, the existing paradigm, the library can also be more directly reference .If it is not already widely authorized to use the core, but the best fixed standard core, LinkIt Connect use N7 to meet this condition. For the core of flexibility configuration, such as Tensilica or ARC, etc, the advantage is that you can match the wafer process and design, to optimize engineering features, such as higher integration , Lower power consumption, lower cost, etc . ; but the software technology is not conducive to management, because the result of flexible configuration, easily bring hidden trouble that software is not compatible, and past software development investment can not continue . Perhaps the adoption of Tensilica or N7 core, is to pursue a more affordable, high integration, low power consumption, and then it can only rely on a wider range of mass production and sales of chips, making it the industry convention (de facto) standards, to encourage more software developers, software technology industry turned, but overall, it has been difficult to compete with the Cortex-M series. The Cortex-M, which started in 2008, has been around for six years, although Tensilica has been doing business for the same period, but it has not been widely used. However, these programming languages are text, digital development, for the lower age developers, it may need more affinity graphics, box-like development, such as Lego Mindstorm series (NXT / NXT2 / EV3 ), or the Massachusetts Institute of Technology (MIT) Scratch language, ESP8266 is currently (April 2017) still lacks this kind of language. 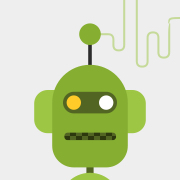 In contrast, LinkIt 7697 uses the Google's Blockly box development program language, renamed BlocklyDuino, which allows more younger peason faster contacting and learning to develop LinkIt 7697, or so that professionals make proof of concept (POC) products to customers as soon as possible . More importantly,after useing Blockly / BlocklyDuino completed patchwork, the development environment can automatically translate and render other language code, such as Python, Arduino, etc., It is benifit for advanced learning development. LinkIt 7697 also supports Arduino compatible development, it is the most important point to successfully enter the Momentum . Finally,LinkIt 7697 also supports C language development, it is the most official and most professional development methods,as usual, university or post-social professional developers will use it. 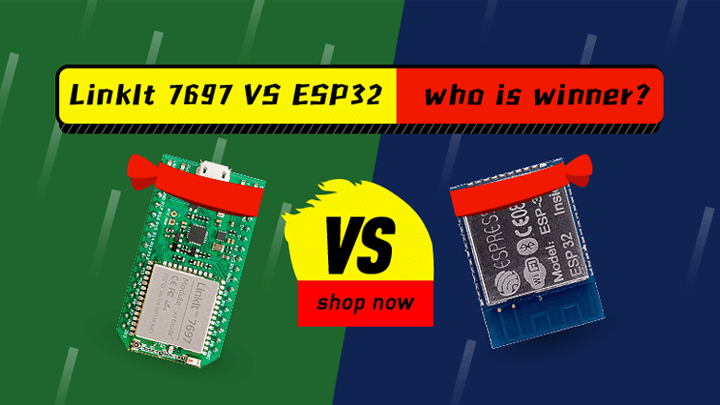 In addition to the core and software support, LinkIt 7697 also competite with the ESP8266, ESP32 in many ways , such as LinkIt 7697 is the same to ESP32 both with Wi-Fi and BLE, beyond the ESP8266 ; LinkIt 7697 also supports Grove simple connector and IFTTT network Conditional service, which is some of the past features of ESP8266 (it has to be achieved through the Wio-Link board). Finally,LinkIt 7697 is the unified board design, there are many board vendors to launch products on ESP8266, ESP32 , but the specifications' the difference , block program transfer, LinkIt 7697 has no such problem. 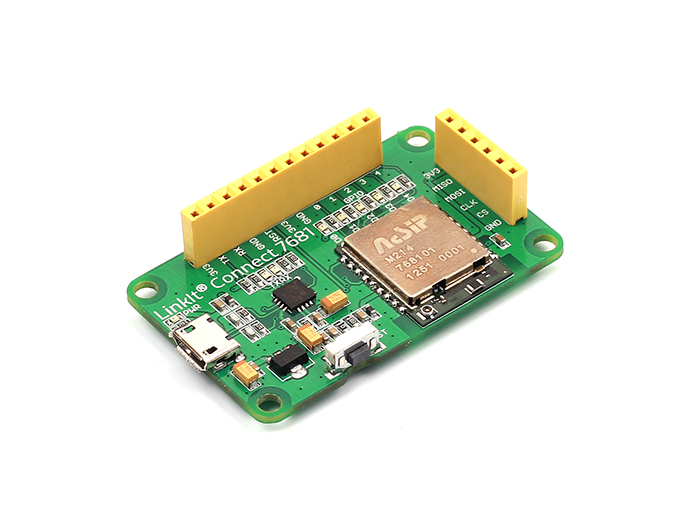 LinkIt 7697 is also equipped with hardware encryption and decryption design, making it more secure in wireless transmission, more opportunities to meet the commercial production demands, which is lack of ESP8266. It can be seen, LinkIt 7697 also hopeful become widely used parity wireless networking platform ,after the hardware and software design are more complete, it is estimated that LinkIt 7697 can be widely popular in Makers. Note 1: another flexible configuration core is ARC, which was acquired by Virage Logic in 2009, while Virage Logic was purchased by Synopsys in 2010.